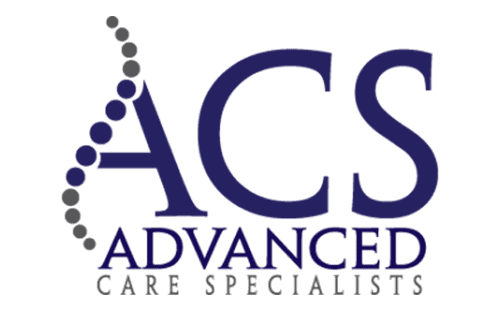 At Advanced Care Specialists in Racine and Mount Pleasant, Wisconsin, they know that knee and shoulder pain can limit your quality of life. The staff can help you to identify what is causing your pain and prevent it from becoming more severe and hindering your ability to perform daily tasks. Shoulder and knee pain is common in athletes and those who are highly active. Your shoulder and knee pain may involve injury to the muscles, ligaments, or tendons. Through a thorough evaluation, your chiropractor can help determine the cause of your pain and provide a specialized plan to meet your individual needs. What are the signs of a shoulder injury? Having a stiff shoulder and complications with rotating your arm can signify a shoulder injury. When this prevents you from carrying out your normal daily activities, it's time to seek an evaluation to determine the cause and severity of your shoulder injury. Early detection is essential in order to prevent severe shoulder issues. What are common reasons for shoulder pain? There are several reasons that you may experience shoulder pain. Sudden traumatic injuries can cause shoulder pain, as can arthritis, bone spurs, or overuse of your shoulder joints. There are two main categories of shoulder injuries that you may be experiencing. Acute shoulder injuries appear suddenly. On the other hand, some shoulder injuries are chronic, meaning they appear and develop gradually over time. You may not even be aware of when or how your chronic shoulder injury happened. Depending on the severity and diagnosis of your pain, the experts at Advanced Care Specialists are able to develop a plan of action to heal shoulder injuries and prevent inflammation. Through a variety of testing, your shoulder pain is pinpointed, allowing the medical team at Advanced Care Specialists to design a treatment pain. In order to successfully determine where your shoulder pain is coming from, the staff uses such tests as X-rays, MRI, and ultrasound imaging to evaluate the cause of your shoulder issues. Pain from shoulder injuries may be treated through bracing or physical therapy, which involves learning exercises to strengthen the muscles in your shoulder. Physical therapy exercises can also help minimize the pain you feel and decrease the chance of an injury recurring. What are the symptoms associated with knee injuries? The most common signs that you have a knee injury are pain and swelling. Knee injuries may prevent you from feeling stable and may cause you to feel weak. Injuries may result in redness and feelings of warmth to the touch. Any popping sound in the knee is also a sign of an injury. What are common causes of knee pain? Knee pain is likely the result of arthritis or injury. Injuries to the knee can be caused by a variety of reasons, such as twisting your knee or falling and landing on your knee. These sudden injuries may lead to a tear of the anterior cruciate ligament (ACL), the medial collateral ligament (MCL), or the posterior cruciate ligament (PCL). It is also possible for a knee injury to develop slowly over time due to arthritis or different leg lengths, which puts stress on your knee. How do you diagnose the cause of my knee pain? Your chiropractor examines both your knees to make a diagnosis, checking for full range of motion, observing the stability of your ligaments, and checking for any swelling or tenderness in the muscles surrounding your knee. X-rays and MRIs may also be beneficial, depending on your specific needs. What are treatments for knee pain? Your chiropractor may recommend physical therapy exercises to strengthen the muscles that support your knee. Exercises are also beneficial in treating arthritis. Various other state-of-the-art treatments such as laser light therapy may also prove useful. If the knee pain indicates a severe injury, you may be referred to a surgeon. Call Advanced Care Specialists to schedule an evaluation to minimize, treat, and prevent knee pain. For your convenience, online appointment booking is also available.